Plenty of video games have pitted their heroes against Nazis, but never quite like this. 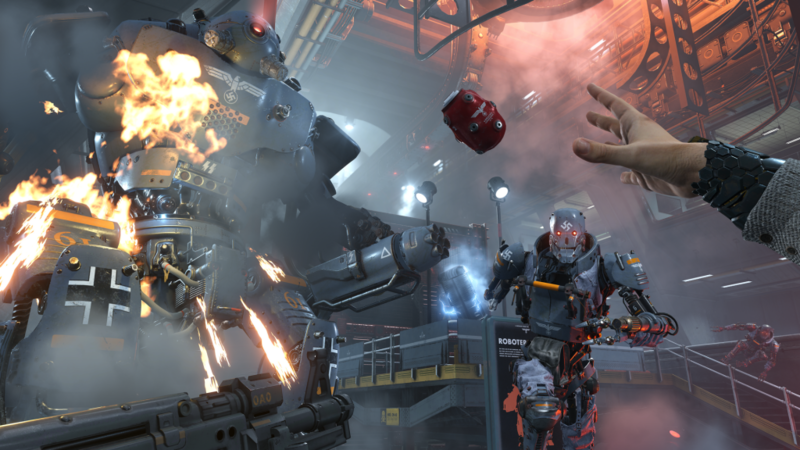 Wolfenstein II: The New Colossus builds on the quality of 2014’s The New Order, leading series-protagonist William “B.J.” Blazkowicz into his most challenging mission yet. The game takes place in a world devastated by the Nazi’s victory over the Allies, and developers MachineGames pull no punches. The America you’re fighting to liberate is a truly strange, disturbing place, with Nazi soldiers and vehicles aplenty. Considering how OTT much of the game is, it’s amazing how effectively MachineGames has managed to capture the nightmarish look and feel of a country under the rule of a brutal regime. B.J. himself has been left wrecked following his exploits in The New Order, but doesn’t let this put him off working with America’s resistance forces to combat the Nazis. We learn more about B.J. than ever here, delving deep into his younger years and exploring his evolution into the heroic bad-guy-icer he became. The writing and voice-acting is of an impressive quality, helping to bring real character and intrigue to the experience. Sure, a lot of the action is ludicrous, but you’ll care more about the main characters than you might expect to. Frau Engel, the ‘big baddie’, is a pretty memorable villain, while B.J. and his allies are easy to root for. The New Colossus shows a diverse group of people from across society coming together against a common foe, and manages to mix some effective humour with the grander themes at play. War is hell, and the game shows that, but doesn’t forget to throw wild situations and technology your way. It all looks outstanding, too. Wolfenstein II: The New Colossus’s graphics are gorgeous throughout, with dated 1960s touches mingling with futuristic high-tech elements brilliantly. Character-animations work wonders, with enemies reacting to your attacks in a dynamic way that makes you feel good and powerful. The extensive amount of weapons keeps the action varied, all of these can be dual-wielded too, in different combinations. You have a huge range of ways to eliminate your enemies, from hacking them apart to blasting them with lasers. This latter tech is a joy to use, powerful enough to melt doors and bad guys alike. The combat itself is fast and bloody, with a nice fluidity between gun-based action and melee kills. You can rely on stealth if you want a slower, more thoughtful pace, but it’s not always intrusive if you prefer to go all-guns-blazing. There’s a nice old-school feel to The New Colossus’s action, especially with B.J. hauling all of his weapons with him at the same time, rather than having to pick and choose. The game’s difficulty might intimidate some players at times, though seven difficulty options makes tailoring the gameplay to your own experience, skill, and patience levels a little easier. The New Colossus doesn’t drag on and on, either – it ends leaving you wanting more, without outstaying its welcome. This adds to the replay value, though the game’s core sense of fun should be enough to warrant at least a second playthrough (if not a third and beyond). You get to enjoy a decent amount of choice as you progress, too. The New Colossus provides optional missions alongside the main ones, with characters offering extra tasks; this adds to the sense of being part of a resistance force, allowing you to take the fight to the Nazis outside of the narrative. You’re able to access extra missions from the Eva’s Hammer, a U-boat which acts as your hub, and can go back to areas you’ve already explored. B.J. becomes better-equipped later on in the game as he gains access to certain types of gear. Some make him strong enough to break certain walls and enter tight spaces, expanding environments and allowing for greater exploration. This makes finding collectibles in locations you’ve previously visited easier, and gives completists plenty to do outside the main campaign as the game progresses. 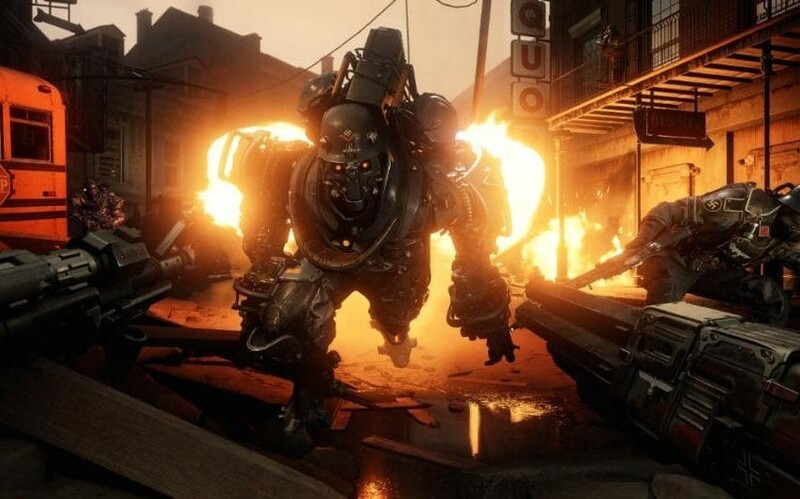 Wolfenstein II: The New Colossus keeps the experience fresh and exciting, particularly with its tone, jumping from camp action to something darker and believable within a beat or two. Sometimes it’s tense, sometimes it’s surprising, sometimes it’s just an all-out blast, but always with fluid gameplay and exquisite visuals. 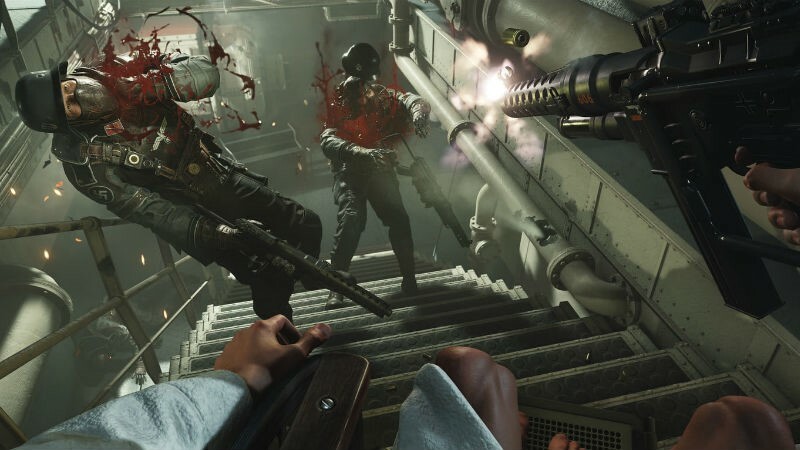 All in all, Wolfenstein II: The New Colossus is a terrific first-person shooter for fans of the series and newcomers alike. It delivers a fast-paced blend of action and stealth, with creative technology and high replayability. B.J.’s deeper story helps to make this an engaging experience, as does the cast of characters surrounding him, and the feel of gradually liberating the country is well-developed. 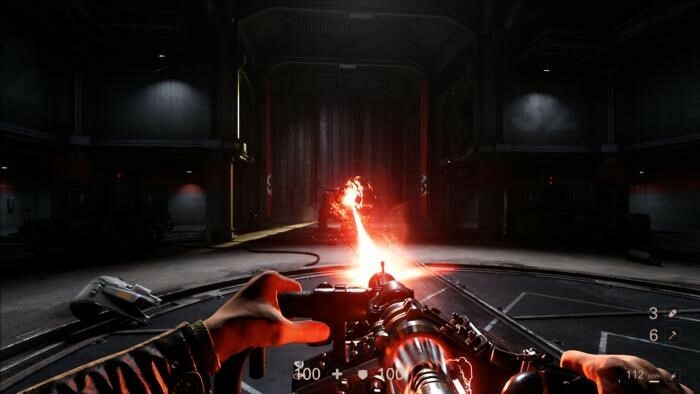 This moves the Wolfenstein franchise on beautifully, and should keep players satisfied for weeks (and months) to come. Have you played Wolfenstein II: The New Colossus yet, and if so, what do you think? Let us know!